SasuNaru. Lol, only Naruto will eat Sô cô la that way....... HD Wallpaper and background images in the Naruto Chibi's! club tagged: sasuke naruto chibi chibis. 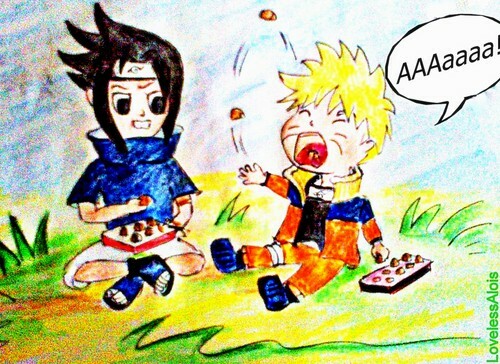 This Naruto Chibi's! fan art might contain anime, truyện tranh, phim hoạt hình, and manga.